Do you want to feel yourself again? Are you looking to feel healthy and full of life? Have you just had a baby and you now want to recover the energy you had pre-baby? The right nutrition can change the way you feel every day. 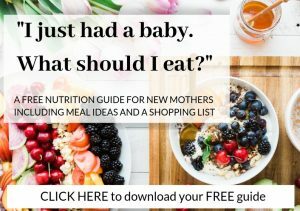 The FREE guide “I just had a baby. What should I eat?” was created by myself, Sandrine Olmi. 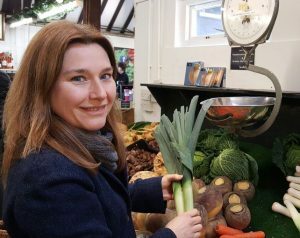 I am a Mum of a little girl and I am a Registered Nutritional Therapist. I realised that there was little nutrition information for new mums. Lack of sleep, the fluctuation of hormones and the stress of coping with a little one can all have a big impact on your body. This is the time in your life when it is important to be kind to yourself. Nutrition is the first thing you can do to help your body build strength and resilience. To access your free guide, click download below and follow the instructions. Should you need additional support, I offer one to one consultations in Raynes Park, Worcester Park, New Malden, Sutton, Cheam and Wimbledon. I also offer Skype consultations for people outside of these areas. To book a free 20 minute consultation on the telephone, get in touch here.